The vision of BOUNCE is to develop a resilience trajectory predictor that will take into consideration biological, social, environmental, lifestyle, occupational and psychosocial status in order to predict levels of resilience of women with breast cancer throughout the cancer continuum, propose resilience-building interventions to those who need it the most and eventually increase illness adaptation toward optimal clinical, well-being and functionality outcomes. 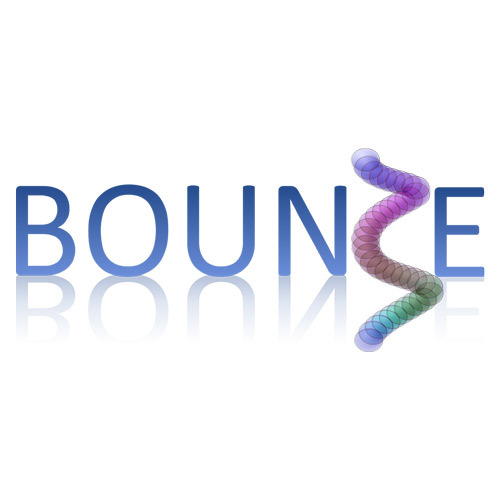 BOUNCE proposes a holistic integrative and dynamic approach for investigating various heterogeneous but relevant biological, social, environmental, lifestyle, occupational, and socio-economic and psychosocial factors as they interact over time during the immediate cancer post-diagnosis period to account for individual fluctuations in resilience and eventually contribute to clinical outcomes and patient well-being. The development of an In Silico Resilience Trajectory Predictor (RTP) which will provide input to a decision support system for predicting the resilience evolution in women with breast cancer throughout the cancer continuum. This will be built by using predictive modeling technologies through a multi-disciplinary approach engaging social sciences and humanities (SSH), medicine and computer science. The development of a Resilience Status Classifier based on the RTP and holistic, temporal patient information in the context of a multicenter clinical pilots in the project which will be dynamically collected using an enhanced version of the pioneer Noona breast cancer patient empowerment technology. A decision support module that will follow the RTP for each breast cancer patient and provide indications to the clinician/caregiver for more personalised resilience building interventions as early as possible in order to help them patients bounce back faster, remain in the workforce and enjoy a better quality of life throughout the cancer continuum. Dedicated, large-scale multicenter pilots will be conducted at 4 oncology centers with extensive experience in the holistic treatment of large numbers of breast cancer patients 1) European Institute of Oncology – IEO, Psycho-oncology Division, University of Milan, 2) HUS Comprehensive Cancer Center, 3) Hebrew University (Israel), and 4) the Champalimaud Foundation). Pilots will be prospective featuring several measurement time points to permit modeling of multiple distinct, yet interacting, trajectories to clinical recovery and patient well-being (biological, social, environmental, lifestyle, occupational, and socio-economic and psychosocial factors). The planned 18-month follow-up pilot window is strategically placed to cover the crucial post-diagnosis period during which women are faced with several life-changing stressors (treatment decisions and side effects, and their impact on daily life) and when the need for both behavioral and cognitive-emotional adaptations is particularly acute. Multiple indices of resilience are adopted to ensure that all theoretically relevant aspects of this complex construct are taken into account and ultimately validated against objectively measurable clinical and psychosocial endpoints. In the final computational model of factors affecting patient adaptation to illness, the weight of resilience indices will be adjusted against observed patient endpoints (clinical relapse indicators, wellbeing and functionality). This will ensure both the theoretical (i.e., construct) and clinical validity of resilience measures employed by BOUNCE. These design features afford a unique opportunity to advance clinical research and shed light on pathways to efficient recovery and optimal quality of life through validated assessment of risk factors and preventive strategies which can be readily incorporated into routine practice of clinical oncologists and mental health professionals involved in supporting breast cancer patients. The involvement of Noona, a leader in e-health technology applications, will ensure optimal functionality and wide dissemination and post-project deployment of the personalized resilience predictor that will be made available by BOUNCE.